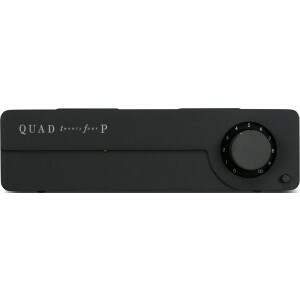 The Quad QC-24 is a dedicated valve phono stage for the connoisseur. This model has been designed for Quad by valve supremo Tim DeParavicini - probably the finest valve amplifier designer in the world today. It has been voiced by the finest ears in the industry and will add an entirely new dimension to your enjoyment of vinyl recordings. This unit features a moving magnet/ moving coil toggle switch on the rear, a choice of input sensitivities and a direct full level output or variable level output if you wish to connect directly to a power amplifier.